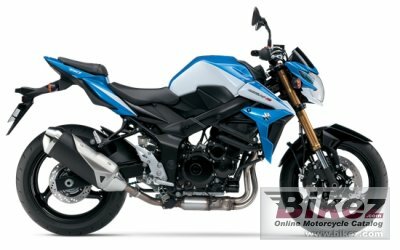 2016 Suzuki GSX-S750Z. Picture credits - Suzuki. Submit more pictures. The engine�s cam profiles have been revised, and the intake and exhaust tracts have been reshaped to boost low-end torque and mid-range power. This gives the 750 unmatched throttle response and intense acceleration. Suzuki dual-throttle valve fuel injection means the performance is crisp and consistent. Price as new (MSRP): US$ 8149. Prices depend on country, taxes, accessories, etc. Ask questions Join the 16 Suzuki GSX-S750Z discussion group or the general Suzuki discussion group. Bikez has reestablished Bikez.info motorcycle web shop overview. Here we present the major online shopping possibilities for motorcycle parts, gear and accessories. This includes customizing and insurance. Search and compare products and prices. Try our 2016 Suzuki GSX-S750Z discussion forum if you have questions or comments. Information about any technical issue is always welcome.